Each of the 340 homes at West Edge boasts seamless design, luxury finishes, spa-quality bathrooms and fully accessorized gourmet kitchens. 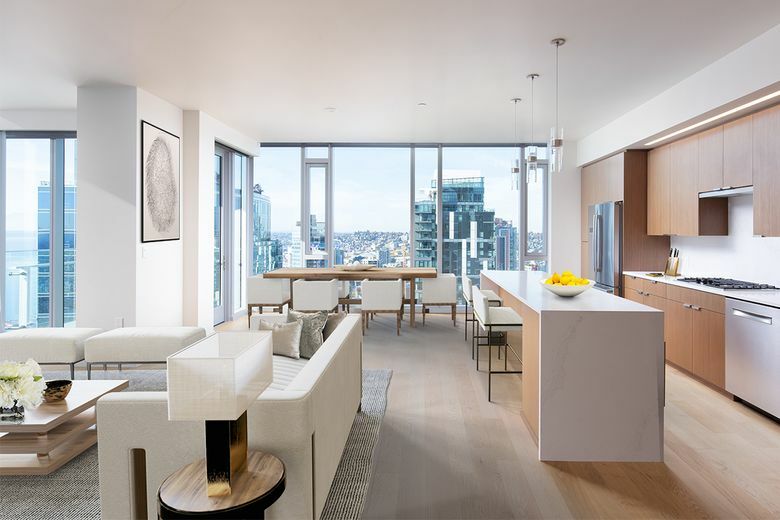 SEATTLE — The West Edge apartment tower continues to transform the residential experience at Second and Pike streets. While the homes are almost all completely leased, West Edge is looking forward to a busy spring and welcoming more people home. West Edge is a modern, metropolitan, 39-story high-rise that opened last spring, inviting residents to immerse themselves in the downtown lifestyle and enjoy intimate access to the city’s bustling commercial and cultural hub. When you live at West Edge, the world-renowned Pike Place Market literally becomes your corner store. The residences at West Edge feature spacious one-bedroom and generously appointed two-bedroom homes, many with spectacular views of the city and Elliott Bay, as well as two levels for luxurious penthouse living. West Edge also provides 24-hour concierge service for the comfort and convenience of residents. The concierge helps residents with tasks such as package acceptance, help with cleaning services, and making dinner reservations. Because the concierge staff is very plugged-in to the Seattle lifestyle, they can also help residents by providing recommendations for dining, shopping and leisure activities. 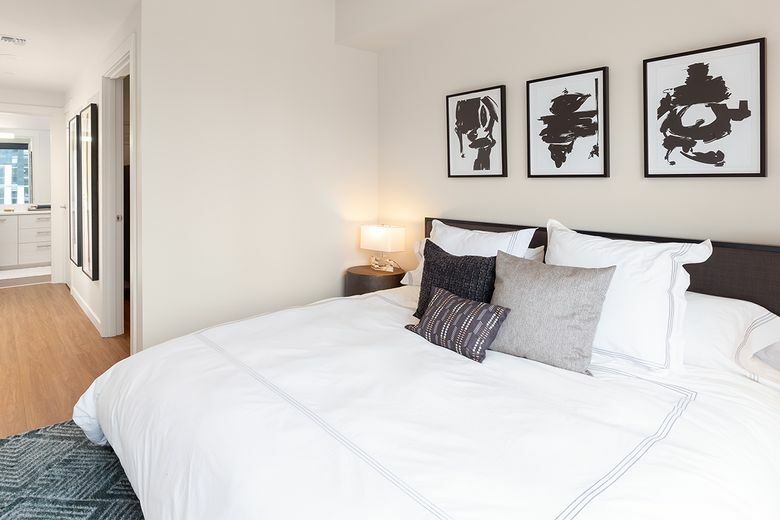 West Edge General Manager Ashley Milligan says the sophisticated, thoughtful design of the high-rise and its 340 homes creates a comfortable, welcoming vibe for residents, even as the tower’s location puts them steps away from the teeming life of the city. The lobby features dark metal detailing and a Japanese maple tree growing in a vaulted atrium. “Residents time after time comment on how West Edge feels more like a home, one which invites them to stay for years rather than months like other buildings in the area,” she says. “West Edge exudes the true spirit of the Northwest. Located in the epicenter of the city, West Edge encourages the collaboration between residents and the local culture. Prospective residents at West Edge can choose from an array of floor plans and home types. Each living space boasts seamless design, luxury finishes, spa-quality bathrooms and fully accessorized gourmet kitchens. The building’s amenities include entertainment suites, a conference room, a rooftop-level fitness club, a library and a pet lounge. Most homes also feature spacious balconies, allowing residents to soak in the urban ambience as well as views of either the Olympics, Mount Rainier or the city skyline. And while any new construction is going to attract its share of people “just looking,” the staff in the West Edge leasing office say they love watching the awe on people’s faces as they step off the streets of Seattle and into the distinctive reality created by Tom Kundig, the visionary project designer of the 440-foot tower. Kundig created the lobby as a living sculpture in glass and dark metal detailing, with a Japanese maple tree growing in a vaulted atrium to greet visitors and residents alike. 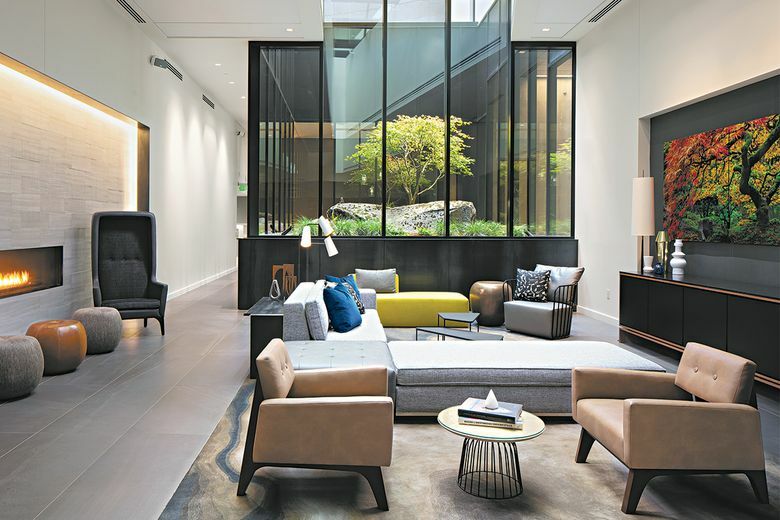 The leasing office reports that the luxury units have attracted many longtime Seattleites who’ve sold their homes in Seattle’s sizzling seller’s market as well as new arrivals making their first foray into Seattle, attracted to its local roots and a prime downtown location. Spring is a great time to explore the entire Puget Sound region and at West Edge, residents can do that even if they don’t have a car. There are two ReachNow vehicles exclusively for the use of residents. Each includes a Discover pass, allowing access to state parks in the region. “West Edge is such a sophisticated and uniquely Seattle-driven building. From the ownership group, to the architect, to the management company, we are all Seattle-based and truly believe our city is the best city to live in,” Milligan says.